We left early to get to the Onslow Bridge for the 7:30 opening. We got there in time but the bridgemaster said he was not allowed to open until 1200 noon because the Navy was practicing with live ammunition and firing across the ICW. We had to drop the anchor and wait. 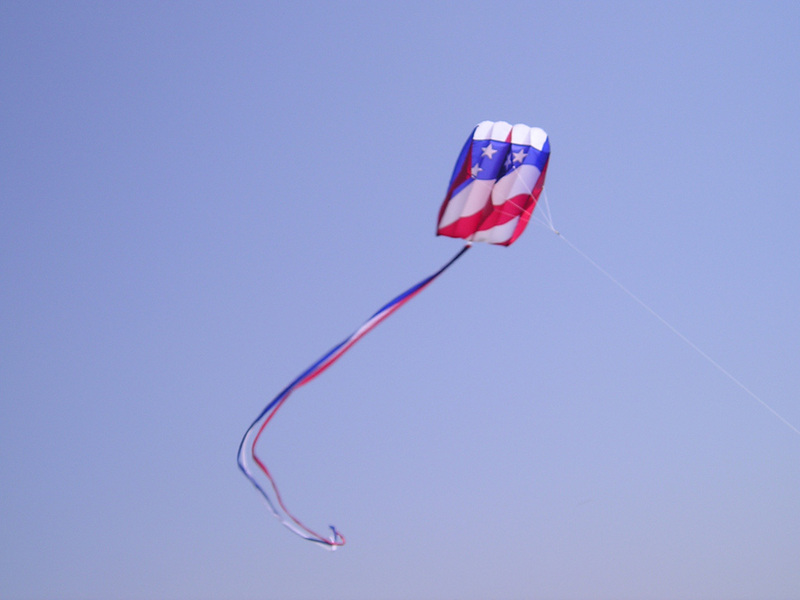 It was a good time to try out the kite I received at Christmas. By noon there were 5 other boats all waiting as well. Then Warship 58 came on the radio and said that they had a casualty and there was a shell stuck in the barrel of the gun which faced south while they steamed east at 25 knots. Any vessel within 15 miles south had better get out of the way in case the shell went off. 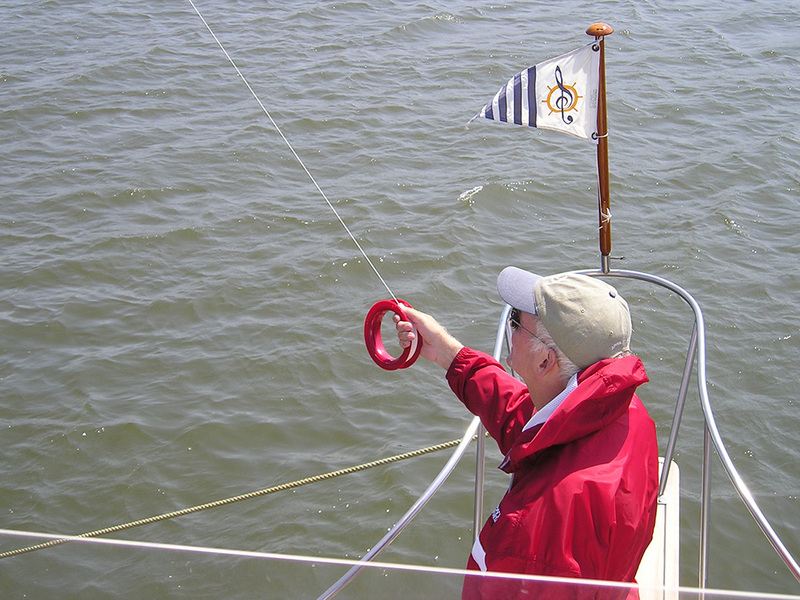 However, the waterway was opened as we were west and we sailed for Beaufort NC. It's another small historic fishing town. It was music festival weekend at the waterfront so there were crowds and very noisy bands playing. We had supper at a very good restaurant called Spouters. They had the best scallops ever.